Most people I know swear by Jamie Oliver for their quick easy recipes. I swear by Yotam Ottolenghi. Why? Well Jamie does do a lot a good food but my personal opinion is you aren’t going to keep your weight down. He makes lots of things with pasta and potatoes – especially in his 30 minute meals book. Also – Jamie cooks mainly with meat. Not exclusively – just mainly. We are by no means vegetarians – at least we weren’t! Freya (my fiance) probably won’t go back to the dark side. We just decided that the only way to get Freya’s vegetarian mum to eat better was to adorn her with lots of yummy vegetarian things that were easy to make – and hope that it rubbed off. 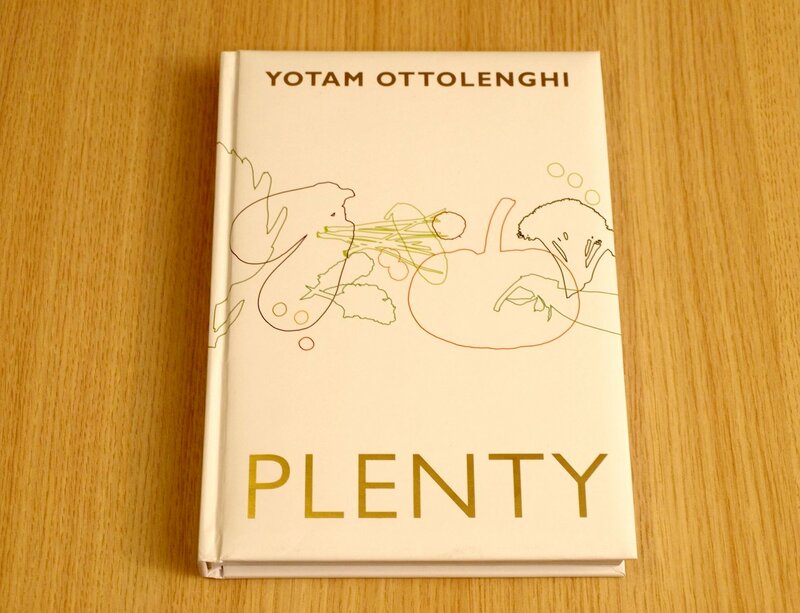 Plenty – one of the Holy Trinity of Yotam Ottolenghi’s cookbooks – is not exclusively vegetarian. That said – there are enough vegetarian recipes in this book that you won’t have to search for the Sides section and hope you can turn the dish into a main meal. I’ve made almost every vegetarian recipe in this book and on the whole they are all incredibly easy, tasty and versatile. Only on a few occasions did I have to go to specialist shops for ingredients. I can’t recommend this book enough. There is a lot of ‘foody talk’ in this book – and I generally don’t read the ‘blah blah blah’ – having been put off by Nigella’s half page introductions to almost every recipe. You will read this though. The man knows his stuff, he’s interesting, relevant, passionate and keeps things simple. This entry was posted in Authors/Chefs, Books, Plenty, Vegetarian, Yotam Ottolenghi and tagged book, cookbook, food, ottolenghi, plenty, recipe by tenuoustoaster. Bookmark the permalink. You are absolutely right about Ottolenghi! Just stumbled over your wonderful blog. It is very inspiring to read about your cooking and it helps me to find out what to cook next .